Looking for party food ideas? 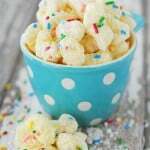 This easy recipe combines funfetti cake batter and puffcorn to make a treat that would be fun to serve! What is it about sprinkles that make people happy? Maybe it is the memory of childhood parties and sweet treats. Or maybe the mix of bright, cheerful colors is enough to bring on the smiles. Whatever the reason, sprinkles are just plain fun. 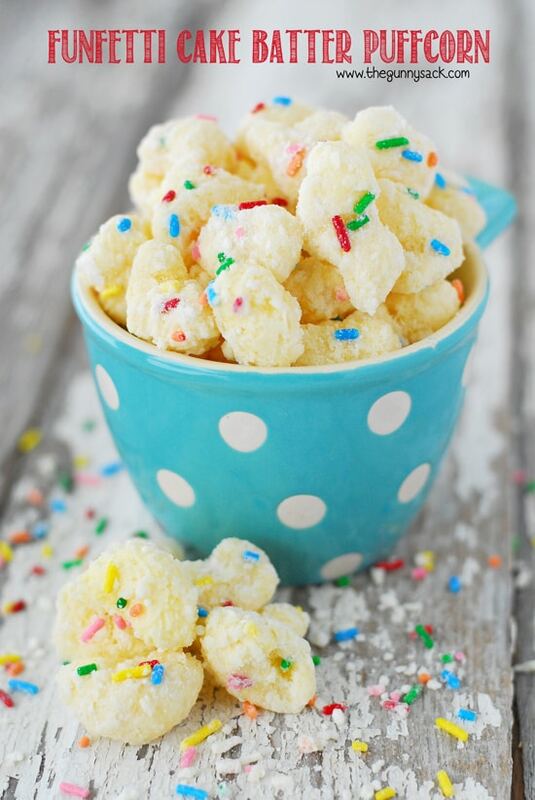 So, I combined puffcorn and funfetti cake mix to make this treat using the same idea as making puppy chow or muddy buddies. Put 10 cups of puffcorn into a large bowl. 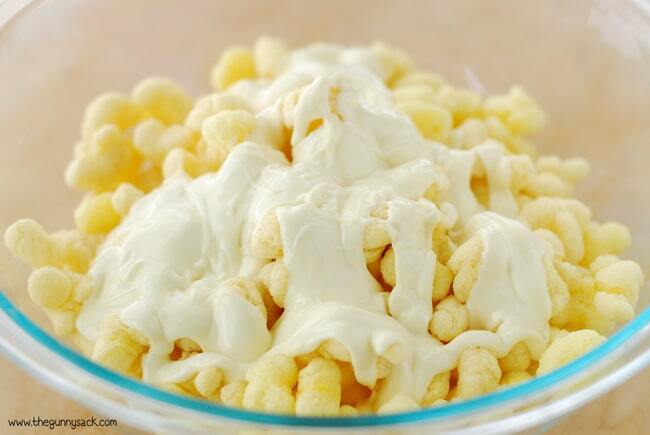 Melt white chocolate melting wafers in the microwave following the directions on the package. Stir in shortening, pour over puffcorn and stir to coat. 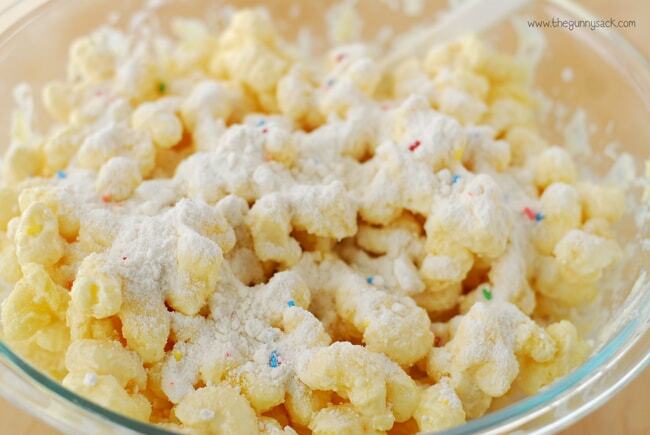 Sprinkle powdered funfetti cake mix over the puffcorn and stir to coat. Add additional sprinkles, if desired. Spread the funfetti cake batter puffcorn on a piece of waxed paper to cool and set. Put 10 cups of puffcorn into a large bowl. Melt white chocolate melting wafers in the microwave following the directions on the package. Pour over puffcorn and stir to coat. Add additional sprinkles, if desired. Spread the funfetti cake batter puffcorn on a piece of waxed paper to cool and set. Yum!! This not only sounds delicious but it looks so fun! My daughter has been searching for the perfect birthday treat to bring in to school…..I think we may have found it! Love this, Tonia! 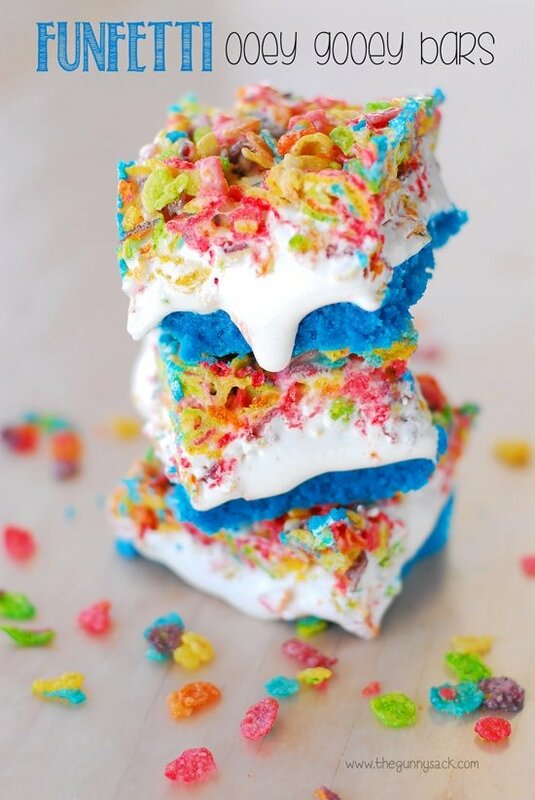 This looks totally yummy and FUN! Love this Tonia! 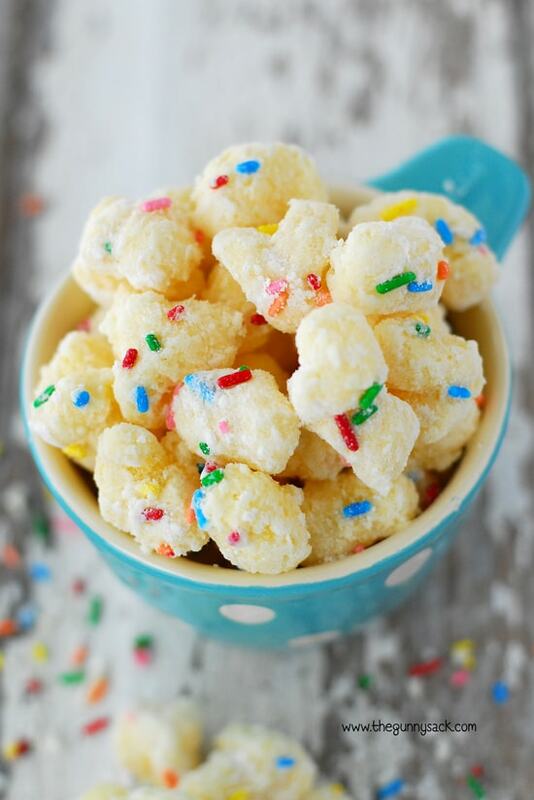 These popcorn puffs are just too cute! Any kid would LOVE it! Mmmmmm!!!! I love anything Puff Corn related. The sweet and salty combo totally gets me. Love this flavor! Sprinkles and funfetti make me SO happy! 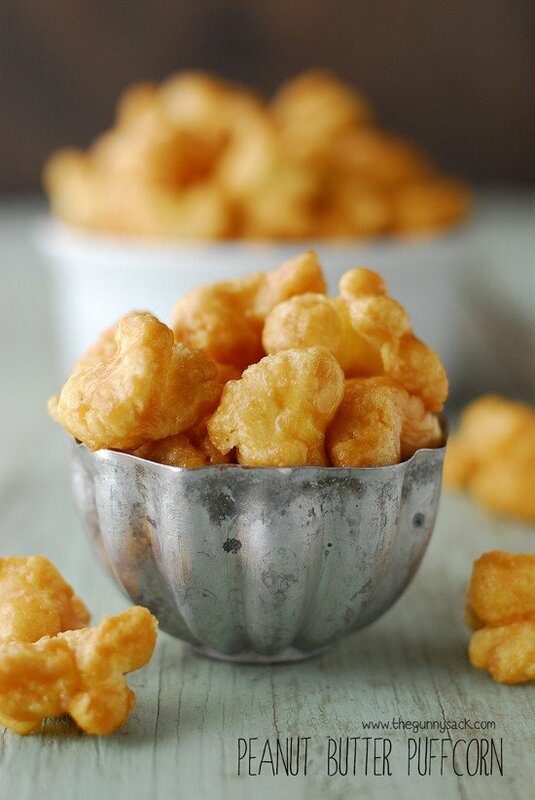 I love this recipe – the puffcorn is brialliant! Yes please! I’d like a big bowl of this to make my Friday night just perfect. My kids would love this snack. You are so genius all the time! This puffcorn looks absolutely fantastic!! I have never heard of puffcorn, and so I have never noticed it before but will have to check out the store next time I go, is it sold with chips or more like the popcorn snack aisle? Thanks, Stacie! It is usually with the chips. This looks so festive! I think my kids would love it!